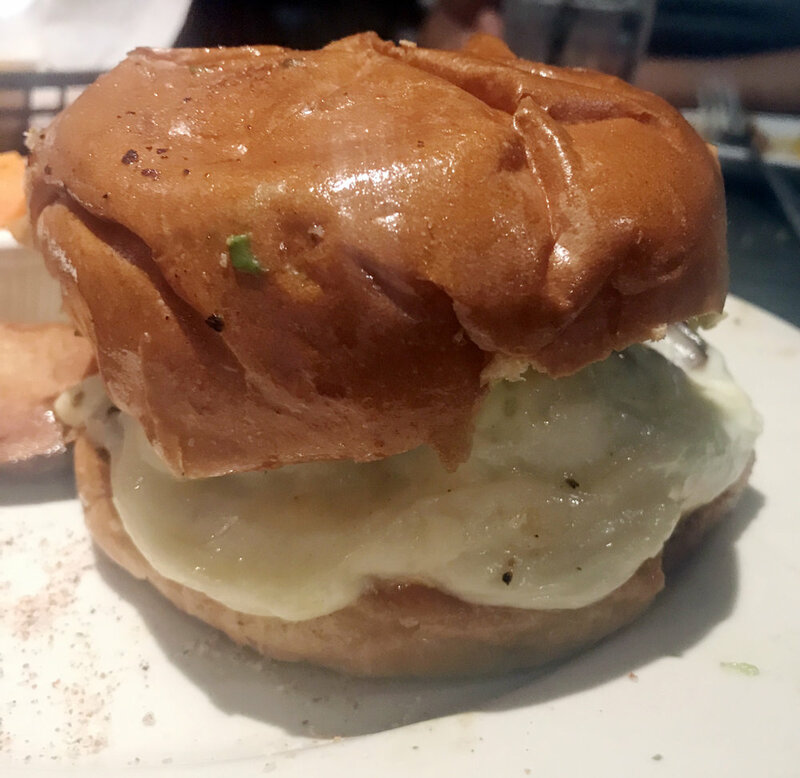 The surprise of finding a stellar hamburger in the most unlikely spots is becoming quite a treat as I make my way through the Houston restaurant scene. Even more satisfying is to find such a burger at a place I have enjoyed for years. Such was the case at the Original Ninfa's on Navigation, known for their inspiring Tex-Mex creations, including Tacos Al Carbon. Ninfa's Fajita Burger, having been served for years as an off-the-menu item, is now offered on the daily menu. The description alone had my mouth watering - ground and chopped fajita meat topped with grilled onions, poblanos, avocado, cheese and Chipotle mayonnaise served on a fluffy grilled bakery bun. As the server put the plate down on the table, my first impression was a good one. The bun was glistening, and the burger was accompanied by three colossal potato wages topped with a sprinkle of kosher salt. A mixture of white cheese and poblano peppers evenly flanked the side of the fajita meat. Cutting the burger in half, I had no idea what was to come. The first bite had me exclaiming that this was one of the most delicious burgers I had ever eaten. With the second bite, my declaration was confirmed. Ninfa's version of the hamburger was a hit, and the scrumptious sweet and salty mix of the tender fajita meat had me in burger heaven. The bun was light and fluffy, but held together nicely. (Nothing is more irritating than to have the bun fall apart.) The tartness of the white cheese complimented the other ingredients of the burger including fresh avocado. To have enjoyed such a deletable burger, at Ninfa's was a nice surprise. If you want to try something different on your next visit, order their Fajita Burger. This creation would make Mama Ninfa proud.